When it comes to ballpark design, it’s hard to beat PNC Field in Pittsburgh. 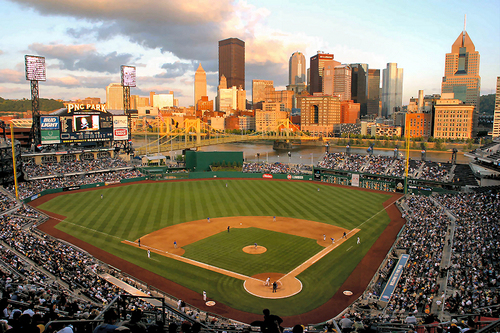 ESPN ranked PNC as the best place to watch baseball in 2009 and that’s not going to change anytime soon. Yes the architecture is great and the atmosphere is intimate but more than anything, it’s the view. And right now, Pirates baseball isn’t too bad either.